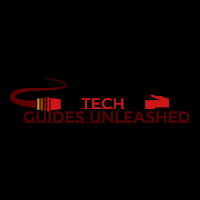 TechGuides Unleashed – Lost in Technology? There's a guide for that! Lost in Technology? There's a guide for that! Welcome to Tech Guides Unleashed. On this page, it is all about trying to find new ways to do things. Want to know how to do a specific trick with a Google app? Perhaps you’re just unsure how to do things in Windows Active Directory…Whatever it is, we just might have a guide for you here.